Whether you are a small business, a webmaster, an independent developer, responsible for SMEs, attached to public relations and / or media relations in a large organization, artist or other, treat your communication with journalists is paramount. By effective, you can get the reputation and credibility without having to go through high advertising budgets. However, managing press relations is not an easy task and requires the observance of certain rules and management tools that exist so far on computer have dizzying rates. 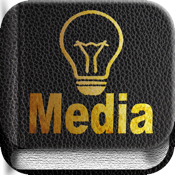 But now is EUREKIOS MEDIA RELATIONS, outstanding application that includes a guide and tools to effectively manage your media activities. • Establish your communication strategy on unlimited projects (up to 3 companies or organizations) following the instructions step by step. • Gather all the data necessary for successful communication. • Answer clear and quick guidelines that will allow the application to generate your specifications, your roadmap on the project. • Manage the database of media and journalists in a clear and pleasant design. • Generate and send automatically by email, your press release to journalists. You can also choose other forms of dissemination. • View infographics of the statistics on press coverage obtained and actions taken. • Monitor web pages and save the publications about your projects. • Save your press coverage: photo, audio or video link, dating and commenting on them for a good historical helpful. • Make a slide show of your panorama to present the benefits obtained. In short, Eurekios Media Relations is a new tool that has everything you need to understand the journalists and bloggers and succesfully organize your interaction with them.